Watch out David Cameron, the Sundance Kid is gunning for you. 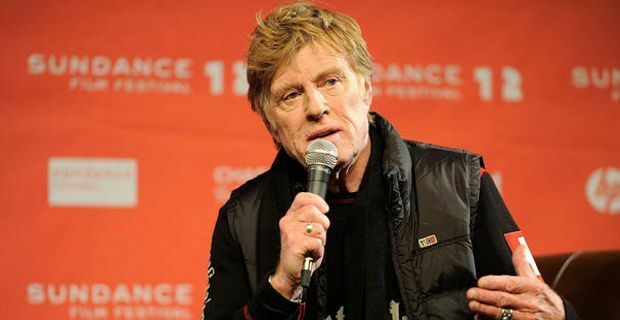 Robert Redford took the opportunity of targeting the British Prime Minister when the actor opened the Sundance Film Festival in London. Redford was unimpressed by Cameron’s recent comments on the British film industry that encouraged film-makers to concentrate on commercial projects rather than take artistic risks. "That may be why he's in trouble," said a visibly disdainful Redford. "That's a very narrow view. I don't want to say it speaks of the man, but that doesn't speak to the broad category of film-makers and artists." Redford has brought a condensed version of his annual Utah festival of independent cinema to London, with the accent on movies that offer an alternative vision to that perpetuated by the major studios. A famous liberal, he was contemptuous of the way conservative regimes try to influence artists. "The more rightwing elements in our political system are terrified of change," he said, "and they see the arts as an agent for change, and try and knock it down. I think it's a horrible mistake." It’s a little baffling then to note that one British film programmed in the festival is Harmony, a climate-change documentary promoted by that notorious radical, Prince Charles. "His Royal Highness has been working on the same things for many years," Redford explained. "He's been committed for a long time to sustainability and environmental conservation, and so have I, and I admire that." The Prince of Wales and The Sundance Kid: there’s a high concept movie idea. Perhaps it might even fit in with David Cameron’s narrow notion of commerciality.